Your move from the city of Berkeley, California should be a smooth, easy, and affordable one. You have enough stress in dealing with all of the details involved with a long distance move. You certainly do not want to have to worry about how protected your belongings are during transport. This is why in searching for a Berkeley moving company near you, you need to take the time to get to know the mover’s philosophy, their guarantees, as well as a come to understand their process. We have worked with numerous Berkeley clients as they prepared for moves across the state, or even to another state. Any move, regardless of distance, is only made better when you nail down all of the details first. We are always open and honest with our customers; everything is presented to you right at the very beginning. There are no surprises. Here is what you should anticipate as you plan to schedule your California move. For one, first ensure that your new location is ready for you. There is nothing worse than getting to your destination and having to scramble around. Also, be sure to change or address with all of the proper entities—you want to make sure you get your mail at your new home or business. Take care of the utilities well in advance of packing up and leaving. This way you don’t get charged when you no longer live there. As far as we go, we will provide you with a thorough and detailed quote for your long distance move. Absolutely everything will be covered in this estimate—no hidden fees. We want you to understand right off the bat that you can trust us 100%. Once we have the complete list of your belongings, to include any specialty items such as boats, pianos, special collections, golf carts, among other things, we start strategizing the best way to transport all of your possessions. In loading the truck or van, we ensure that nothing is in danger of shifting and thus becoming damaged during the move. We take as much care with your things as we would our own—this is what sets us apart from other Berkeley, CA movers. We know you have enough on your plate with the long-distance move itself. This is why our job is to handle the hard stuff, to make it easier on you and thus far less stressful than you might think. Our years of experience, the fact that we are fully insured, and given that our professional team always stays on top of the latest in rules and regulations that might impact your move, are why more Californians choose us over the other long distance movers. If you are in fact to ready to schedule your appointment as you look to the future, as you look to move into that new home or new office, we are ready to help! 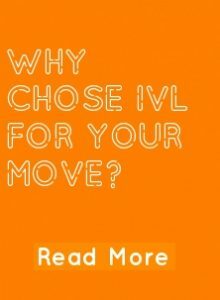 International Van Lines is ranked #1 by moving.co for domestic and international moving service. Please feel free to contact us if you have any questions.